You may have spotted our M-Series on social media lately as its alter-ego, the “Fox Rover”. Operated by the team at Level Horizons, the “Fox Rover” has brought a brand-new angle to Australian cricket. 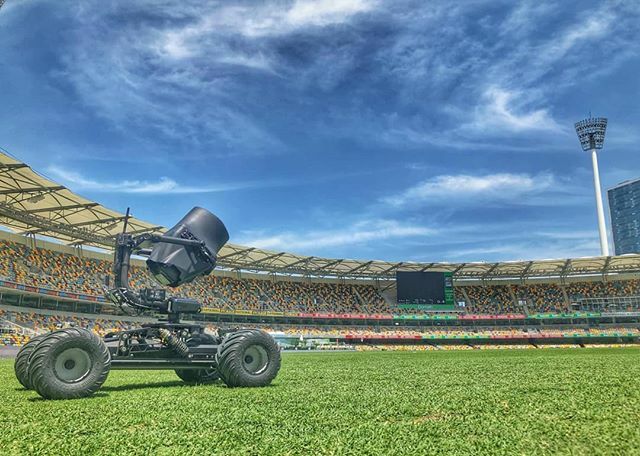 The “Fox Rover” has produced some amazing shots for Fox Sports Australia both on and off the pitch for the majority of Fox broadcasts over the current cricket season. Not limited to cricket, the M-Series and its big brother, the M-Pro are ideal for capturing action on the move. The M-Pro can reach speeds of 30mph, driven by a powerful quiet encoded motor. Not only can the M-Pro achieve these top speeds, it can also go as slowly as 1cm per second. Controlling the M-Pro is a breeze with the Master controller, with all the settings you need at your fingertips. With modular mounting options such as the V-Con and the V-Con XL, you can stabilise your gimbal low to the ground or up at eye level, giving you the ability to produce shots from any angle. If you are already an M-Series owner, you can upgrade to the M-Pro through our new upgrade path.